Website writing can be a rough ride before you hit your stride. You’ve got to build up a stable of clients, who may or may not need your services regularly. You’ve got to articulate the vision and voice of every company, organization or client you write about. You’ve also got to be able to mesh with a variety of different working and thinking styles. It’s demanding and doesn’t always work out the way you want it to: with a finished product you’d want to add to your portfolio. Considering all the hassles of landing clients by yourself, you may be tempted to work with digital agencies. At Storyline, we work with them ourselves. Working with digital agencies is a good thing in many ways. You’ll probably have a steadier flow of projects coming your way. You’ll be working with pros who understand the creative process. You may even have a say in that process. As writers, though, don’t take for granted that the creative teams or project managers you’re working with at digital agencies understand how you work when you write a website or where content should make its entrance into the project. Agencies that farm out content have other things to worry about, big things like branding, web development and design, social media, etc. Often, the content itself is their last concern. But beware. If you fall under the spell of this logic, as Walter Sobchak says in The Big Lebowski, you’re entering a world of pain. You’ll start writing and the designer will start designing. At some point, as your deadline approaches, you’ll compare notes, and you’ll see that those four blocks of text you wrote to explain the client’s product have now become an explainer video you need to write a three-page script for. A half day’s work has just gone down the drain. A wireframe later, you’ll see that what you envisioned as a gallery block with captions is actually going to be five stand-alone pages that need a hundred to two hundred words of text each. You may not chuck your laptop out the window at this point, but your stake in the project will begin to sour. The next casualty of this failure to communicate will be your deadline. After that, your relationship with the creative team you’re working with will shrivel up and die, and you’re back to square one hustling clients off the street. ﻿You’re the content specialist. Scope out the client’s content requirements yourself, if the agency hasn’t done so, and propose a content plan. A content plan is a sort of glorified site map that actually explains the rationale behind the website’s content. It lays out what content you believe belongs on the new website, where you think it should go and how it should appear, i.e. as a page or section, gallery or banner, caption or paragraph. If you’ve got a little HTML or CSS knowledge, providing HTML text tags for hierarchy will let the designers understand your vision for the content even better. Write it all up in a Google doc (make a template you can use again) and send it to the project manager and creative director and get their feedback. If you agree on your foundation, you’ll all be in sync before you start work, saving you days of time and plenty of pointless stress. Sharing a content plan also offers a great opportunity to discuss your creative vision with your colleagues and to bat around new ideas and angles. That said, not every digital agency will know what to make of your legwork. Like tech companies, a lot of digital and marketing agencies have their own way of doing things and aren’t going to be changing anytime soon. For these kinds of organizations, writers are simply there to dump text into the containers they build. In our experience, it’s best to avoid working with agencies that aren’t open to creative discussions or who assume that content comes last. Relationships sour fast, the quality of work suffers, and clients are often disappointed. 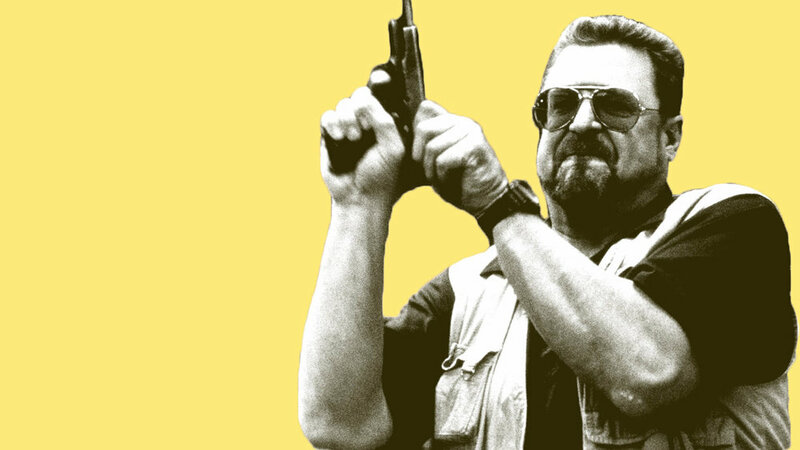 So unless you want to enter Walter Sobchak’s world of pain, stand by your content plan. When Max Sheridan isn't writing content plans, he's writing stories and designing comeback campaigns for Nicolas Cage (what, you don't think he needs a comeback campaign?). His novel Dillo was published by Shotgun Honey in 2017. Talk to Max at your own risk here.